Skye Gravestones | Donald & Christina (Campbell) MacCowan & sons. Donald & Christina (Campbell) MacCowan & sons. In/loving memory of/our dear father & mother/DONALD MacCOWAN/died 4th May 1911/CHRISTINA CAMPBELL his wife/died 29th Jan. 1915/their son JOHN/died 8th Augt. 1917/and their sons/Rev. 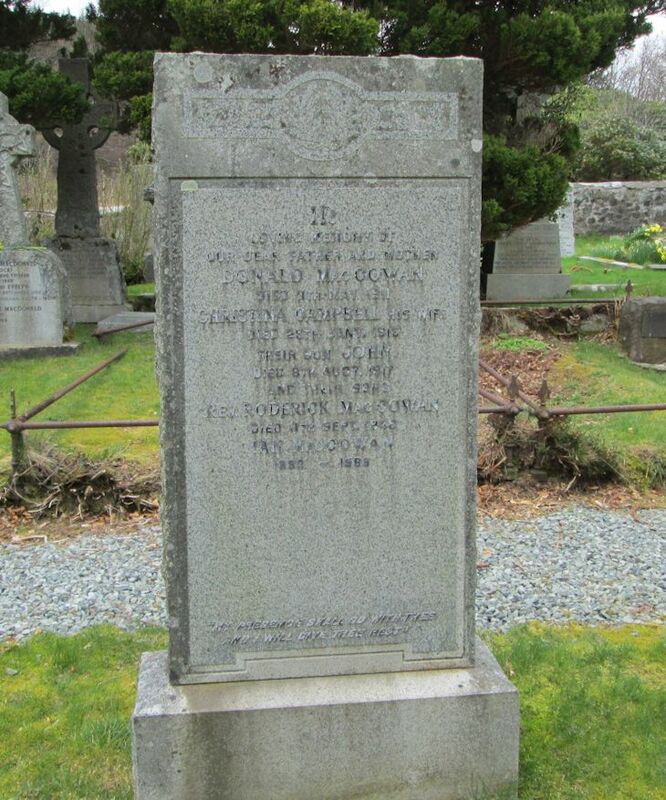 RODERICK MacCOWAN/died 11th Sept. 1948/IAN MacCOWAN/1888-1968. "My presence shall go with thee/and I will give thee rest."